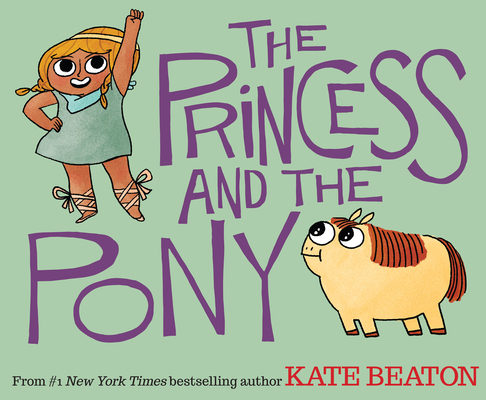 Introducing Kate Beaton, a major new picture book talent, and author/illustrator of #1 New York Times bestseller Hark! A Vagrant! From the artist behind the comic phenomenon Hark! A Vagrant, The Princess and the Pony is a laugh-out-loud story of brave warriors, big surprises, and falling in love with one unforgettable little pony. Kate Beaton is the author of Hark! A Vagrant, her #1 New York Times bestselling collection of comics. Kate is the recipient of multiple Harvey awards, and her cartoons have been featured in the New Yorker. Kate lives in Toronto, and you can find her online at www.harkavagrant.com, or on Twitter as @beatonna. Included on more than twenty Year's Best lists, including Time, E!, Publishers Weekly, and Amazon.com.